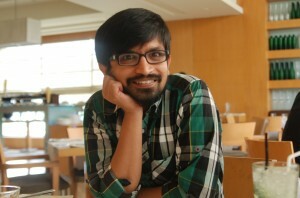 I just read this new article by Anand about the SMSGupsgup. Even though I don’t agree with the traffic/numbers used for comparison I was forced to re look at Gupshup. I had an account at SMS Gupshup almost an year back. My last msg there was 359 days back and I had 84 subscribers then. Year back it was simple one to many SMS application. It didn’t have other ways of interacting than sending an expensive SMS. At the same time twitter had all those things which I needed. So the obvious choice was twitter. Smsgupshup has grown a lot in this one year to prove my this comment almost wrong. Now it has web interface which can be used for posting text or images to group. It has Gchat (I would have loved more general jabber) interface to post. Now I can subscribe to any other gupshuppers with a click of a button. It has a mobile site which is usable and friendly. 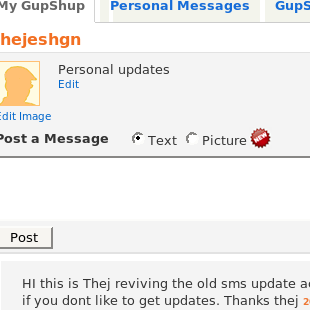 Which means I revived my account at smsgupshup and sent another welcome/warning message to all my subscribers. I guess I am going to use it more regularly now. I still think it needs an API to get more people attracted. By looking at the way they have introduced features in last one year, they may have it very soon. I am going to be there on twitter as long as the community around me stays there. As well now I am going to maintain the gupshup account too. I need to figure out how can I use both of them! 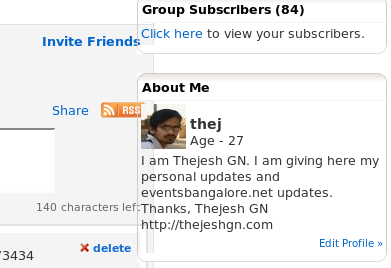 BTW send JOIN thejeshgn 567673434 to *follow me* on gupshup. Click here and sign up for a gupshup account. to which number u r send msg plz say me b’coz 9945599455 i s nt working……….if u help me i will promote……. @I am sorry Karthik & Nandeesh..I dont know any number! IS THERE ANY OTHER NUMBER TO PUBLISH THERE.. OTHER THAN THE PREMIUM ONE..?? LIKE WITHOUT RS 3 ?? GURMAT HUKMNAM NEWS SIKH HISTORY FREE SEWA HAI G.